Modi government has targeted to double farmer's income by 2022. This seems a mammoth task as the farmer's real income needs to grow at a CAGR of 10.4 per cent to meet the government's target. Most farmers in the country are unable to reap the benefits of their hard labour as they get cheated by middlemen. But, eNAM, an online market which the government launched in 2016, holds the promise of increasing the earnings of the farmers by connecting them directly to the buyers across the country. India has witnessed good monsoon the last three consecutive years, and agriculture sector is seeing record production. These bumper years have built a strong foundation for the Indian economy amid government policy changes that shook the market. But these benefits are not reaching the farmers. 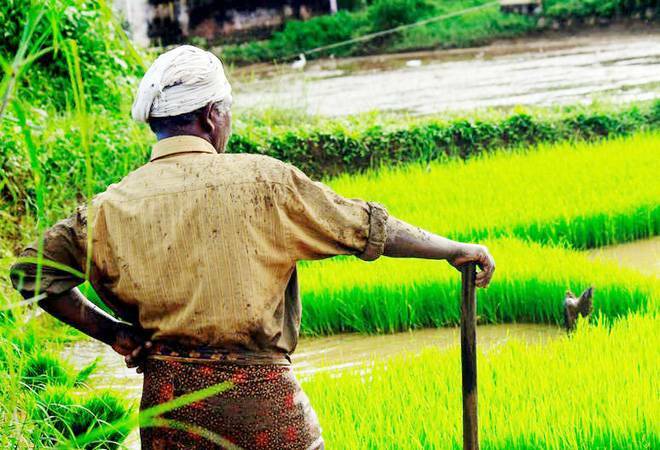 Recently an inter-ministerial panel set up by the centre, Dalwai committee, in its report had estimated the average income of farmer at Rs 77,976 per year. Modi government has targeted to double farmer's income by 2022. This seems a mammoth task as the farmer's real income needs to grow at a CAGR of 10.4 per cent to meet the government's target. eNAM (national agriculture market) is an important initiative in this direction. eNAM is a virtual market which networks existing mandis through an online trading portal. It provides a common platform to farmers irrespective of their state to sell their produce to the highest bidder, enabling buyers situated even outside the state to participate in trading at local level. This increases the reach of producers (farmer) and buyers at a national scale. In India currently, APMC (Agricultural Produce Market Committee) is being followed which limits the scope of trading in agricultural commodities. There are multiple transaction costs levied to move the produce from one mandi to another even within the same state. Moreover multiple licenses are required to trade in different markets in the same state. Not even a single state in India is a unified market. This has led to an expensive and fragmented agricultural economy, increasing the gains for middlemen and minimising the farmer's income. eNAM is supposed to end this. eNAM provides a supervised environment for market forces of demand and supply to determine the prices of agricultural commodities through online auction system. eNAM was launched on April 2016, since then 585 markets across 16 states and 2 union territories were connected. Total cumulative value of trade under eNAM has reached Rs 48,215 crore. Over 1 crore farmers and 1 lakh traders have registered on eNAM portal so far. (c) Extending eNAM trading in six languages. Niti Ayog's review of eNAM has found that many mandis are ill-equipped to access the quality of produce. Without which quality assurance could not be provided to potential buyers. It has also been reported at some places auctions were occurring in the old way and data was entered on the eNAM portal after the transaction. This defeats the whole purpose of an online portal. On an average there were only 1.5 bids per e-trade, most of them made offline and locally.